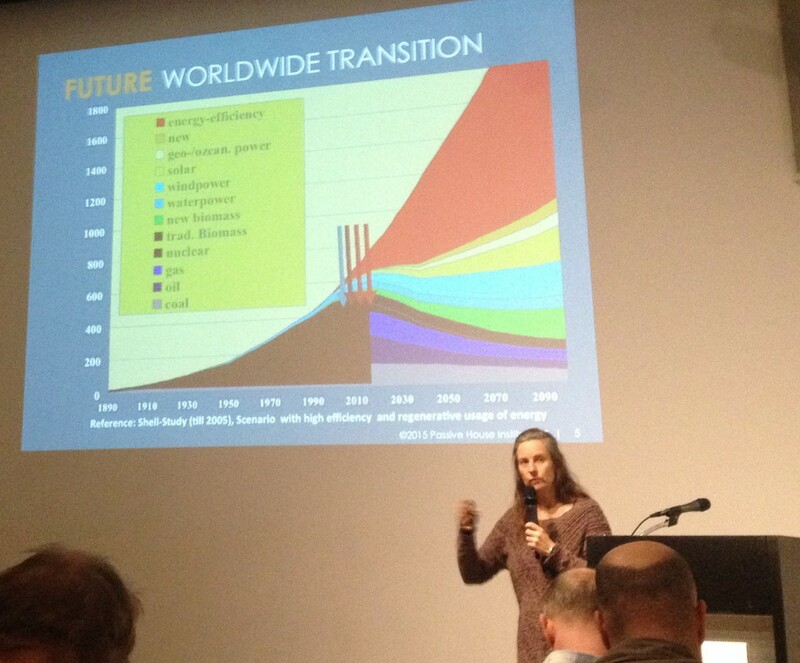 When Katrin Klingenberg, from Passive House Institute US (PHIUS), talks about passive architecture, it is not a joke. This is a necessity, a mandatory step to fight climate change, “we have no choice” but to cool that air down! Let’s start with the beginning. “You all know this” but let’s see it in graphics. Climate change is not to prove anymore and buildings take a big part in energy consumption, thus in greenhouse gases emission. As Katrin explains, the goal is to reduce the gap between energy needed and available renewable energy. We have made great progress in the recent years but building energy consumption should still be lowered by 50%. To achieve these goals, we look at windows, heat exchange units, ventilation and air-conditioning, vapor barrier, and design. 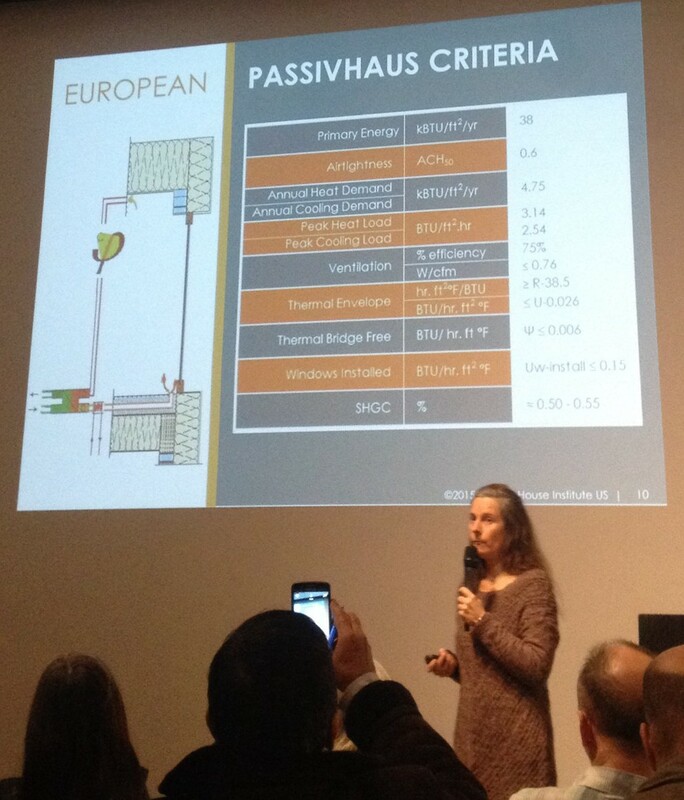 The Passivhaus movement started in Europe and when Katrin built her home in 2002 in Urbana, Illinois, it was the first passive house out of the EU. Other climate, other rules! Physics principles are different from one region to the other. 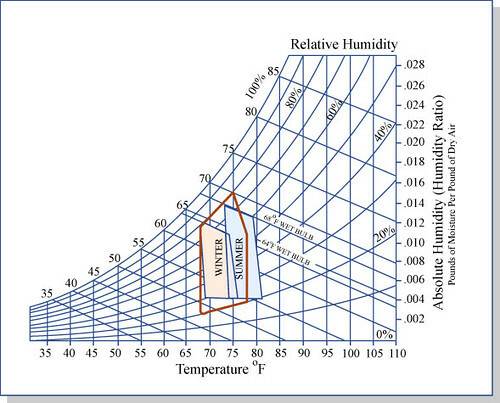 Cooling suddenly enters into the system, and every criteria, barrier numbers, methodology, are out of date. For instance, the number of cooling and heating units necessary to assure comfort will be very different. Because the movement in Europe is mostly about private houses, PHIUS is facing major scale issues to adapt principles for bigger buildings. Also, the cost of materials and of energy vary from one place to the other. Even time-wise, costs move around; but in the end, they don’t change that much over time, if you consider a 50-years period. Local climate induce specific products and contextualized dynamic modeling (with tools like WUFI) becomes critical to design. Here are a few product ratings that one can use to get better performance: PHIUS, Aero Energy Ready Home, Balding America, Air plus, Energy Star. As for projects certified by PHIUS, their number is growing, with a total of 400 by now. Commercial buildings are way under-represented though. Code and conventions for this type of building is indeed still not concordant with passive criteria. Minimize (energy) loss/gain with a neat assembly design. There are now product systems including clever connections. Thermal bridges, that are said to avoid at all costs, can actually be balanced with good products and overall calculations. Thermal bridging are more prominent in larger buildings because they have more structure. There are high density plastic products with structural properties and insulation directly between 2 structural pieces, like the “insulating rebars” for cantilevers. Air-tight construction. The air-tight barrier should be placed in the middle of the wall because humidity will come from outside or from inside depending on the season. In any case, continuity is a must. This is how products are tested for any certification. High performance windows, with double or even triple pane. The wiggling effect between elements of different R values is to avoid. Detailing at window and wall connection will make a big difference. Rain-screens, with curtain panels thermally separated from the structure, are very efficient. The problem is that a double wall facade is very expensive; that might be why this system has not really broken through in the US. 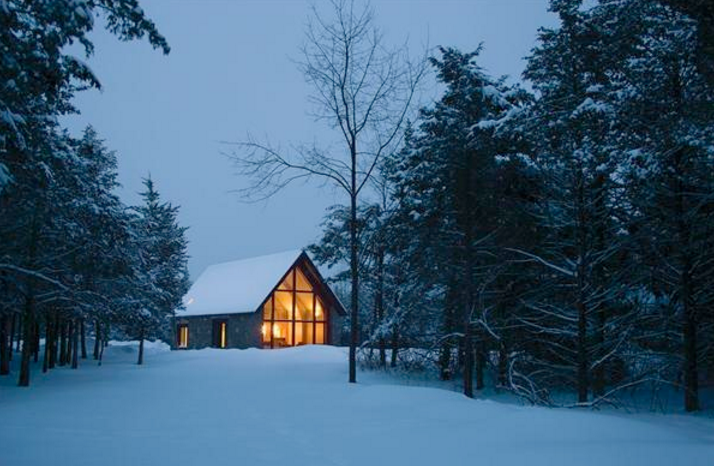 Comfort is an important part of passive buildings. The comfort zone is around 68*F in winter, 77*F in summer and 40-60% humidity. For larger buildings, you really want to check comfort, especially in the case of multi-zones. Because climate is changing, settings and criteria are adapted to temperature forecasts. LEED is about cost optimization, as opposed to carbon consumption, which should be the first focus. Passive architecture is all about envelope. That being said, an economic optimum is to meet anyway. As for existing buildings, it is hard to do anything else than a case-to-case study and design custom solutions. PHIUS started with new buildings, simply because they are easier to deal with. But we definitely have to tackle retrofitting in the existing building stock, and this should be done at a block scale. 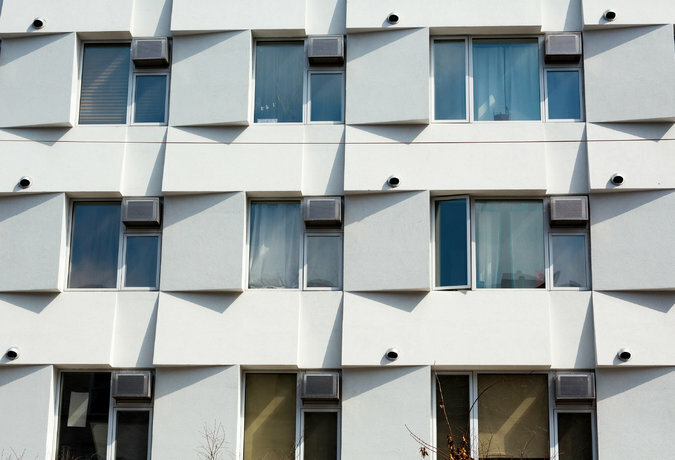 Retrofitting a building without considering the neighbor next door can have disastrous consequences on the latter. PHIUS is working with officials and State representatives to change the code, which needs to be cost-effective, comfort-allowing, quality-pushing and resilient.